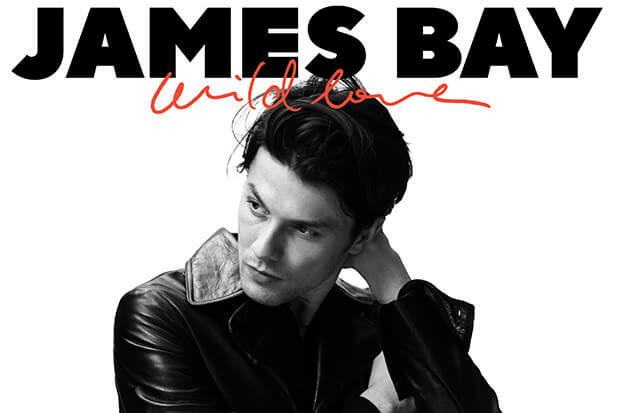 James Bay Switches It Up With Synth-Drenched "Wild Love"
We speak to James Bay about his debut LP 'Chaos And The Calm.' Read on. James Bay was one of the breakout stars of 2015/2016 with raw rock anthems like “Let It Go” and “Hold Back The River.” His debut album was a mega-seller around the world and he was rewarded with three Grammy nominations. Which makes the Brit’s decision to forgo his signature, stripped-back sound on “Wild Love” rather brave. Instead, the 27-year-old’s new single is a synth-driven, ’80s-evoking soul anthem that wouldn’t sound out of place on an early Prince album — obviously, one of the biggest compliments you can pay an artist. “I know some of this new sound was not apparent on my first album – there were hints, perhaps – but I think my new music helps to paint a fuller picture of who I am,” James says of his new direction. “As soon as I recognized I was being pinned down as ‘the intimate acoustic guitar guy’ I realized I knew I had to push myself musically. I want it as part of my arsenal, but I don’t want that solely to define me.” It seems the hitmaker has serious plans for the singer/songwriter genre. Get acquainted with James Bay 2.0 and his very good new single below. You can also find out more about his upcoming North American tour here.